As the integration of computer aided design and manufacturing (CAD/CAM) systems progresses, the need for management of the resulting data becomes critical. Database management systems (DBMS) have been developed to assist with this task, but currently do not satisfy all of the needs of CAD/CAM data. This thesis examines and proposes DBMS requirements for design and manufacturing data associated with mechanical parts. A case study approach was used, involving examples of parts produced by numerically controlled (NC) milling and sheet metal punching machines. Representative examples of currently available relational and object oriented DBMS's were used to construct prototype CAD/CAM databases. Insights concerning the application of relational and object oriented DBMS's to CAD/CAM data were gained. The advantages and deficiencies of each were examined and discussed. The prototypes and resulting discussions provided a basis for the development of the proposed DBMS requirements. Database consists of schema and test data. Automatically Update all Database Developers. Creating and deleting database tables. The Scope of Data Mining. This paper is to introduce fundamentals of modern database management systems, in particular relational database systems. Also, I will touch on many areas in applied database management slightly. Further, this paper is intended as a text that can be used as an overview. There are multitude parts of applied database management, and in this paper I will cover the basic concepts. Organization uses applied database management to make most business decision, and these decisions are by way of decision sciences of information. Information and Decision Sciences incorporates the use of data processing equipment, such as computers and their peripherals. These methods are applied to systems management, programming design, analysis of information flow, decision support, database organization, small business problems, data communication networking, and distributed processing. The automated, prospective analyses offered by data mining move beyond the analyses of past events provided by retrospective tools typical of decision support systems. In aggregates information and stored into a database, most companies feel a need to use data mining tools that can answer their business questions that traditionally were too time consuming to resolve. They scour databases for hidden patterns, finding predictive information that experts may miss because it lies outside their expectations. The core components of data mining technology have been under development for decades, in research areas such as statistics, artificial intelligence, and machine learning. Today, the maturity of these techniques, coupled with high-performance relational database engines and broad data integration efforts, make these technologies practical for current data warehouse environments. There are many parts to database management such as: 1. A data access interface that communicates with Microsoft Jet and ODBC-compliant data sources to connect to, retrieve, manipulate, and update data and the database structure. 2. The process of obtaining data from another source, usually one outside a specific system. It usually includes a description of the placement of the data blocks and their relation to the entire set. 3. Structural information about data that describes its context and meaning. 4. A file composed of records, each containing fields together with a set of operations for searching, sorting, recombining, and other functions. 4. Database administrator is who manages a database. The administrator determines the content, internal structure, and access strategy for a database, defines security and integrity, and monitors performance. 5. Database manager is one who provides the analytic functions needed to design and maintain applications requiring a database. 6. Database designer is also one who designs and implements functions required for applications that use a database. 7.Database engine is a program module or modules that provide access to a database management system (DBMS). 8. Database machine is a peripheral that executes database tasks, thereby relieving the main computer from performing them. A database server that performs only database tasks. Further, in applied database management a software interface between the database and the user. A database management system handles user requests for database actions and allows for control of security and data integrity requirements. The use of desktop publishing or Internet technology to produce reports containing information obtained from a database. A network node, or station, dedicated to storing and providing access to a shared database. In addition, a database structure is a general description of the format of records in a database, including the number of fields, specifications regarding the type of data that can be entered in each field, and the field names used. In asynchronous communications, one of a group of from 5 to 8 bits that represents a single character of data for transmission. Data bits are preceded by a start bit and followed by an optional parity bit and one or more stop bits. The database classes can be divided into four categories: base classes, classes for defining database resources and operations, classes for manipulating database data, and classes for using database data links. This course I’ve learned database systems with a focus on how to use them in practice. This gives an overview of the capabilities of modern database systems, and how to build database-backed applications. Topics covered include the relational model, SQL, transactions, database design and tuning, three-tier architectures, web data management with XML, service-oriented architectures, data mining, and data warehousing. Database system is a modern relational database systems concentrating on the internals of relational database systems. Concepts covered include query languages (SQL, relational algebra and relational calculus), storage structures, access methods, query processing, query optimization, and database design. This course is usually offered in the fall semester. It consists of several large programming assignments where students build part of a small relational database system called Minibase. This deals with the architecture of large-scale information systems, with special emphasis on Internet-based systems. Topics covered include three-tier architectures, edge caches, distributed transaction management, web services, workflows, high-availability architectures, and content management. Also include a significant number of programming assignments in the context of three-tier architectures, involving web servers, application servers and database systems. Researchers and practitioners in the database, information systems and internet fields over the years have made significant progress towards the building of solutions that involve such systems for a wide range of application domains. In doing this, solutions necessarily concentrated mainly on syntax as the readily available unifying formalism for representation and structure, rather more than on the broad variety of semantics involved. One of the recent unifying visions is that of Semantic Web, which proposed semantic annotation of data, so that programs can understand it, and help in making decisions. Researchers have subsequently seen the value of using semantics to understand information and decision making needs of humans, so that data and human? needs can be semantically intermediated. The scope of semantics-based solutions has also moved from data and information to services and processes. A review of active research funding and projects shows extensive investigations based AI and knowledge representation branches of computer science. For example, logic-based descriptions and inference techniques are being extensively investigated as part of projects under the Semantic Web umbrella. This includes many projects funded by DARPA and EC 5th Framework Program, including the DAML and Onto Web initiatives and programs. There is a visible dearth of investigations from the database and information systems community. This workshop seeks to investigate relationships between challenges in developing semantic solutions for the Web and Enterprises, and the experience and expertise of the database and information systems community. Research in database management and workflow management has an extensive history of achieving high impact through improving methods of other scientific endeavors as well as in developing new technologies leading to commercialization and in establishing new high-tech industry sectors. This workshop will investigate research directions that can lead to similar long-term impact in Semantic Web and Enterprise solutions by our community. Continuous query processing is a relatively new field in query processing. It deals with the execution of queries over infinite streams of data, rather than over fixed collections of data. Traditional query processing systems are powerful tools for examining stores of data. Continuous query systems are similarly powerful, but focus on processing and reacting to the data as it is collected. These systems are specially designed for “stream processing” problems. Stream processing problems involve input data that is coming into existence over time. The data rate may be very high, or come in bursts. Output is calculated as soon as the required input data is available. Output is a function of all input data available up to the present time. Stream processing problems often make explicitly use of the time domain of their input data. For example, calculating the maximum value seen in the last 5 minutes. There can also be real-time requirements on processing, where results are required within a specified amount of time after data becomes available. A continuous query system will allow stream-processing problems to be specified by programmers, and executed efficiently. When we talk about a database here, we mean not just the schema of the database, but also a fair amount of data. This data consists of common standing data for the application, such as the inevitable list of all the states in the US, and also sample test data such as a few sample customers. The data is there for a number of reasons. The main reason is to enable testing. We are great believers in using a large body of automated tests to help stabilize the development of an application. Such a body of tests is a common approach in agile methods. For these tests to work efficiently, it makes sense to work on a database that is seeded with some sample test data, which all tests can assume is in place before they run. As well as helping test the code, this sample test data also allows to test our migrations as we alter the schema of the database. By having sample data, we are forced to ensure that any schema changes also handle sample data. In most projects we've seen this sample data be fictional. However in a few projects we've seen people use real data for the samples. In these cases this data's been extracted from prior legacy systems with automated data migration scripts. Obviously you can't migrate all the data right away, as in early iterations only a small part of the database is actually built. But the idea is to iteratively develop the migration scripts just as the application and the database are developed iteratively. Not just does this help flush out migration problems early, it makes it much easier for domain experts to work with the growing system as they are familiar with the data they are looking at and can often help to identify problem cases that may cause problems for the database and application design. As a result we are now of the view that you should try to introduce real data from the very first iteration of your project. It's all very well for people to make changes and update the master, but how do they find out the master has changed? In a traditional continuous integration environment with source code, developers update to the master before doing a commit. That way they can resolve any build issues on their own machine before committing their changes to the shared master. There's no reason you can't do that with the database, but we found a better way. We automatically update everyone on the project whenever a change is made to the database master. The same refractory script that updates the master automatically updates everyone's databases. When we've described this, people are usually concerned that automatically updating developer’s databases underneath them will cause a problem, but we found it worked just fine. This only worked when people were connected to the network. If they worked offline, such as on an airplane, then they had to resync with the master manually once they got back to the office. This section explains the concepts you need to understand to establish a connection between VA Smalltalk and a database management system. It also includes instructions for establishing a database connection. This section explains how to create and delete database tables using IBM Smalltalk. Each section is illustrated with examples. You can use the examples without modifying them to create and work with a database called CORPDATA. Each example builds on the one before it. Follow the examples in the sequence given. Some of the code samples also include a block of code you can evaluate to see the effect of the task you have just performed. These code samples do such things as display all databases, display the names of table columns, and display a result table from a query. The examples also provide instructions for modifying the sample code to create a database of your own design. Each section explains the parts of the sample code you need to change to work with your own database. Data warehousing takes a relatively simple idea and incorporates it into the technological underpinnings of a company. The idea is that a unified view of all data that a company collects will help improve operations. If hiring data can be combined with sales data, the idea is that it might be possible to discover and exploit patterns in the combined entity. The most basic component in a data warehouse is a relational database. This database is the place where the data is stored. Relational databases are designed to be able to efficiently insert new data and locate existing data using a standardized query language. Given the fact that a company usually has very large amounts of data, the sizes of these databases can reach terabytes (trillions of bytes). Underneath the database is a maze of connections and transformations connecting the data warehouse with other systems. Because data in a company is often created and stored in functionally specific systems (e.g., a payroll system), the data may need to be replicated and moved between a data warehouse and these other systems. There are a wide variety of tools that facilitate this replication and movement process. The design of the data architecture is probably the most critical part of a data warehousing project. The key is to plan for growth and change, as opposed to trying to design the perfect system from the start. The design of the data architecture involves understanding all of the data and how different pieces are related. For example, payroll data might be related to sales data by the ID of the sales person, while the sales data might be related to customers by the customer ID. By connecting these two relationships, payroll data could be related to customers (e.g., which employees have ties to which customers). Once the data architecture has been designed, you can then consider the kinds of reports that you are interested in. You might want to see a breakdown of employees by region, or a ranked list of customers by revenue. These kinds of reports are fairly simple. The power of a data warehouse becomes more obvious when you want to look at links between data associated with disparate parts of a organization (e.g., HR, accounts payable, and project management). Consider an exception report showing all projects more than 90 days in arrears that are managed by someone with less than two years of experience. This report would be nearly impossible to generate without the links between different databases that the warehouse provides. In addition to the capability to link data together, a data warehouse can give users the ability to view data at different levels of aggregation. Automated prediction of trends and behaviors. Data mining automates the process of finding predictive information in large databases. Questions that traditionally required extensive hands-on analysis can now be answered directly from the data — quickly. A typical example of a predictive problem is targeted marketing. Data mining uses data on past promotional mailings to identify the targets most likely to maximize return on investment in future mailings. Other predictive problems include forecasting bankruptcy and other forms of default, and identifying segments of a population likely to respond similarly to given events. Automated discovery of previously unknown patterns. Data mining tools sweep through databases and identify previously hidden patterns in one step. An example of pattern discovery is the analysis of retail sales data to identify seemingly unrelated products that are often purchased together. Other pattern discovery problems include detecting fraudulent credit card transactions and identifying anomalous data that could represent data entry keying errors. Data mining techniques can yield the benefits of automation on existing software and hardware platforms, and can be implemented on new systems, as existing platforms are upgraded and new products developed. When data mining tools are implemented on high performance parallel processing systems, they can analyze massive databases in minutes. Faster processing means that users can automatically experiment with more models to understand complex data. High speed makes it practical for users to analyze huge quantities of data. Larger databases, in turn, yield improved predictions. In conclusion, comprehensive data warehouses that integrate operational data with customer, supplier, and market information have resulted in an explosion of information. Competition requires timely and sophisticated analysis on an integrated view of the data. However, there is a growing gap between more powerful storage and retrieval systems and the users’ ability to effectively analyze and act on the information they contain. Both relational and OLAP technologies have tremendous capabilities for navigating massive data warehouses, but brute force navigation of data is not enough. A new technological leap is needed to structure and prioritize information for specific end-user problems. of Science. McGraw-Hill: New York. 1976. Marketing Science. Southwestern Publishing Co.: Cincinnati, OH. 1991. Lachenmeyer, C.W. The Language of Sociology. Columbia University Press. 1971. Vol. 57, April, 1993. pp. 92-106.
continuous query system for internet databases. In Jeff Naughton Weidong Chen and Phil Bernstein, editors, Proceedings of the Special Interest Group on Management of Data (SIGMOD), Dallas, Tx, June 2000. [DBT83] David DeWitt, Dina Bitton, and Carolyn Turbyfill. Benchmarking database systems: A systematic approach. In Proceedings of the 1983 Very Large Database Conference, October 1983. John T. Kohl, and William E. Sommerfeld. The zephyr notification service. In Proceedings of the Winter 1988 USENIX Technical Conference, pages 213–219. USENIX, February 1988. [Gar02] Garmin Incorporated. GPS V, Personal Navigator Owner’s Manual and Reference Guide, 2002. ”URL: http://www.garmin.com/manuals/gpsv.pdf”. [Gra93] Jim Gray, editor. The Benchmark Handbook for Database and Transaction Systems (2nd Edition). Morgan Kaufmann, 1993. [ITS] MIT ITS. Mit intelligent transport systems program. http://web.mit.edu/its/. [ITS02] Conjestion Pricing: A Report From Intelligent Transportation Systems (ITS), May 2002. URL: www.path.berkeley.edu/ leap/TTM/Demand Manage/pricing.html. for queries over streaming sensor data. In Proceedings of the 18th International Conference on Data Engineering (ICDE 2002), 2002. Babu, Mayur Datar, Gurmeet Manku, Chris Olsten, Justin Rosenstein, and Rohit Varma. Query processing, resource management, and approximation in a data stream management system. In Michael Stonebraker, Jim Gray, and David DeWitt, editors, Proceedings of the 1st Biennial Conference on Innovative Database Research (CIDR), Asilomar, CA, January 2003. 2002. URL: http://www.rppi.org/federalhotlanes.html. [SFGM93] Michael Stonebraker, James Frew, Kenn Gardels, and Jeff Meredith. The sequoia 2000 benchmark. In Peter Buneman and Sushil Jajodia, editors, Proceedings of the 1993 ACM SIGMOD International Conference on Management of Data, Washington, D.C., May 26-28, 1993, pages 2–11. ACM Press, May 1993.
the Dissemination of Technological Information within the R&D Organization. Groups. MIS Quarterly, 20(2), 143-163. Media Richness, and Structural Design. Management Science, 32(5), 554-571. Davenport, T. H., & Pearlson, K. (1998). Two Cheers for the Virtual Office. Sloan Management Review, Summer, 51-65. Communication, Connection, and Community. Newbury Park, CA: Sage. Decision Support Systems. Management Science, 33, 589-609. Technology Use: Adaptive Structuration Theory. Organization Science, 5(2), 121-147.
and the Trees: Media, Features, and Methodology in Electronic Communication Research. Forms and Strategies for Managing in Hypercompetitive Environments. Organization Science, 7(3), 211-220.
of Diversity in Decision-Making Teams. In R. A. Guzzo & E. Salas (Eds. ), Team Effectiveness and Decision Making in Organizations, (pp. 204-261). San Francisco: Jossey-Bass. Jarvenpaa, S. L., Knoll, K., & Leidner, D. E. (1998). Is Anybody Out There? Antecedents of Trust in Global Virtual Teams. Journal of Management Information Systems, 14(4), 29-64. Perceptions -- Implications for Group Support System Research and Products. Paper presented at the Twenty-ninth Hawaii International Conference on System Sciences, Kihei, Maui. Perspectives of a Research Manager. R&D Management, 28(1), 5-12. Training and Group Performance: The Mediating Role of Transactive Memory. Personality and Social Psychology Bulletin, 21(4), 384-393.
into GDSS. Group Decision and Negotiation, 5(2), 143-164. Time, and Organizations with Technology. New York: John Wiley & Sons. Fulfilling the Promise of the New Organization. Boston, MA: Harvard Business School Press. Organizational Trust. Academy of Management Review, 20(3), 709-734. McGrath, J. E. (1990). Time Matters in Groups. In J. Galegher, R. Kraut, & C.
Egido (Eds. ), Intellectual Teamwork: Social and Technological Foundations of Cooperative Work, . Hillsdale, NJ: Lawrence Erlbaum. Technology: Ideas, Evidence, Issues, and an Agenda. Thousand Oaks, CA: Sage. Temporary Groups. In R. M. Kramer & T. R. Tyler (Eds. ), Trust in Organizations: Frontiers of Theory and Research, (pp. 166-195). Thousand Oaks, CA: Sage. Traditional and Virtual Teams. In E. Sundstrom (Ed. ), Supporting Work Team Effectiveness. in Groups. In R. S. Tindale, J. Edwards, & E. J. Posvoc (Eds. ), Applications of Theory and Research on Groups to Social Issues, : Plenum. Mowshowitz, A. (1997). Introduction to Special Issue on Virtual Organization. Communications of the ACM, 40(9), 30-37. Mail: Critical Social Theory and the Contextuality of Meaning. MIS Quarterly, 21(2), 145-167. Nunamaker, J. F., Jr., Briggs, R. O., Romano, N. C., Jr., & Mittleman, D. D.
(1998). The Virtual Office Work-Space: GroupSystems Web and Case Studies. In D. Coleman (Ed. ), Groupware: Collaborative Strategies for Corporate LANs and Intranets, . New York: Prentice-Hall. Transactive Memory Development in Virtual Teams 33 Roberts, K., Kossek, E. E., & Ozeki, C. (1998). 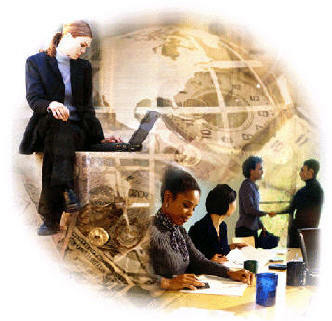 Managing the Global Workforce: Challenges and Strategies. Academy of Management Executive, 12(4), 93-106. Information Systems. Information Systems Research, 6(2), 85-117. Tajfel, H. (1981). Human groups and social categories: Studies in social psychology. New York: Cambridge University Press. Tajfel, H. (1982). Social psychology of intergroup relations. Annual Review of Psychology, 33: 1-39. Turner, J.C. (1984). Social identification and psychological group formation. In H. Tajfel (Ed. ), The social dimension: European developments in social psychology, volume II (pp. 518 – 538). Cambridge, England: Cambridge University Press. Turner, J.C. (1987). Rediscovering the social group: A self-categorization theory. New York: Basil Blackwell Inc.
Tajfel, H, & Turner, J.C. (1979). An integrative theory of intergroup conflict. In W.G. Austin & S. Worchel (Eds.) The social psychology of group relations (pp. 33 - 47). Monterey: Brooks-Cole. Turner, J., Oakes, P., Haslam, S. & McGarty, C. (1994). Self and collective: Cognition and social context. Personality and Social Psychology Bulletin, 20(5): 454 - 463. Experimental Observations over Time. Organization Science, 6(2), 186-203. Transactive Memory Development in Virtual Teams 34 Warkentin, M. E., Sayeed, L., & Hightower, R. (1997). Virtual Teams vs. Faceto-Face Teams: An Exploratory Study of a Web-Based Conference System. Decision Sciences, 28(4), 975-996. CA: Price Waterhouse Technology Centre. Group Mind. In B. Mullen & G. R. Goethals (Eds. ), Theories of Group Behavior, (pp. 185-208). Memory. Social Cognition, 13, 319-339. Whelan, Peter Timothy (1989) Doctoral Thesis, Georgia Institute of Technology, Atlanta.